This is the official website of the Formula Mundi Film Festival. The festival is currently closed. Date and venue for the upcoming FM No.7 will be announced in the near future. The Formula Mundi Filmfest is a theme based festival dealing with concepts, struggles and changes within social structures. What happens if one’s structures suddenly disappear? How do people deal with radical changes? Formula Mundi seeks for visual answers to questions like these. The film fest was founded in 2003 by Prof. Guido Kuehn at the Academy of Applied Arts and Sciences Schwaebisch Hall. As the festival grew over the years, Christian M. Fischer joined him to organise FM 2007. 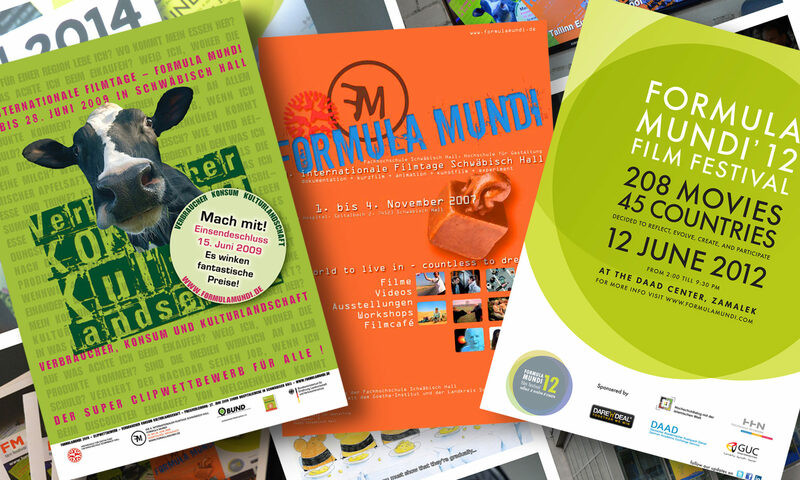 In 2009 the festival took the next step by joining a cooperation with the German Federal Ministry of Food, Agriculture and Consumer Protection, BUND Niedersachsen e.V. and Bundesverband Regionalbewegung. The focus were films that dealt with mass production and mass consumption and their impact on our environment in a globalised world. Due to structural changes within Formula Mundi, there was no Filmfest in 2011. In fall 2011 however, FM 12 kicked off with students from the German University in Cairo, as Christian lead GUC’s Media Design Department. The theme “Reflect, Evolve, Create” in 2012, therefore, was not only the headline of Formula Mundi ’12 but also a guideline for the festival itself. The film fest has been and will be strongly connected to academic structures. Therefore Formula Mundi is a festival that is designed, organised and realised with and by students of various universities. However, style, content, visual appearance and even the location of the festival changed dramatically over the years. Every time the festival is organised we have to redefine its purpose and objectives. These changes and flexibility make Formula Mundi, compared to established and well-known festivals, very unique and up to date.